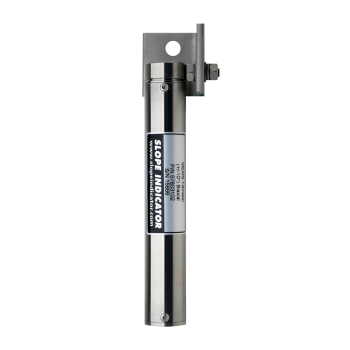 EL tiltmeters are high resolution, narrow-angle tiltmeters ideally suited for monitoring structures. 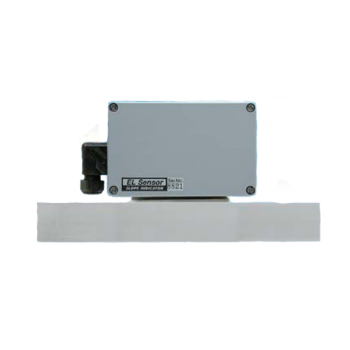 Advantages: Accurate, high-resolution measurements, can be read remotely, easily automated, compact, reusable, reasonable cost. Limitations: Some applications require temperature corrections, although careful placement of the tiltmeter can minimize this need. 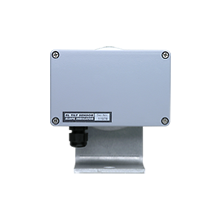 EL beam sensors are similar to EL tiltmeters, except that the tilt sensor is mounted on a rigid beam with a defined gauge length, typically 1 to 2 meters long. Each end of the beam is anchored to the structure. Advantages: The rigid beam makes it easy to convert changes in tilt to millimeters of movement (settlement, heave, convergence, or lateral displacement). Also, beam sensors can be linked end-to-end to monitor differential movements and provide absolute displacement and settlement profiles. The MEMS tiltmeter is medium-resolution tiltmeter that offers a wider measurement range of +/- 10 degrees. Advantages: Waterproof, available in uniaxial or biaxial versions, can be read remotely, easily automated, compact and easy to install, reusable. Available in a deepwater model with a brass housing. Limitations: Less sensitive than the EL tiltmeter. 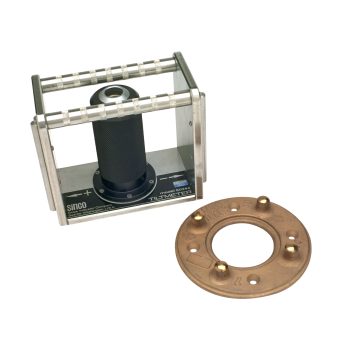 The portable tiltmeter is carried from tilt plate to tilt plate to obtain measurements. Advantages: A single tiltmeter can be used to monitor any number of inexpensive tilt plates. The tiltmeter uses the same reliable servo-accelometer sensor that is used in the Digitilt inclinometer probe. Limitations: No remote reading, cannot be automated, accuracy affected by placement of tiltmeter on tiltplate. 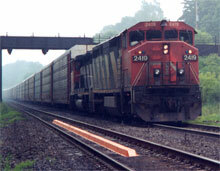 Track monitoring sensors monitor settlement and twist in railway tracks. This is a specialized application for tilt sensors. Two versions are available: one based on the narrow-angle beam sensors and the other based on wider angle EL or MEMS sensors. Advantages: Mounts directly on ties. Can survive reballasting operations. Can be read remotely, easily automated. Limitations: Cannot provide readings during passage of train.